The brain is a wondrous vehicle. After a bleed the brain bypasses the damaged circuitry and finds new ways to communicate with the world. 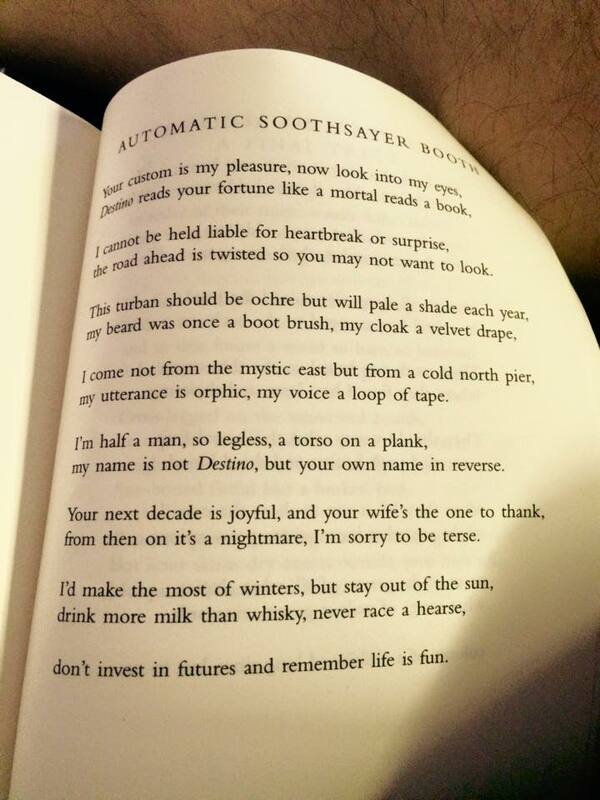 I love this poem in Michael Symmons Roberts’ Drysalter, which is filled with goodness. Stock up on issue 1, 2 and 3 and buy it for your friends, your friends of friends before issue 4 is released in July. Get free ground shipping on any order of 5 or more books using promo code PENNY through 24 May. Order 10 or more print books and save 20% through 22 May with code MBS15. I’m reading ‘Ten Poems about Tea’ from Candlestick Press. I got it from one of those free bookshops, which is a wonderful idea. 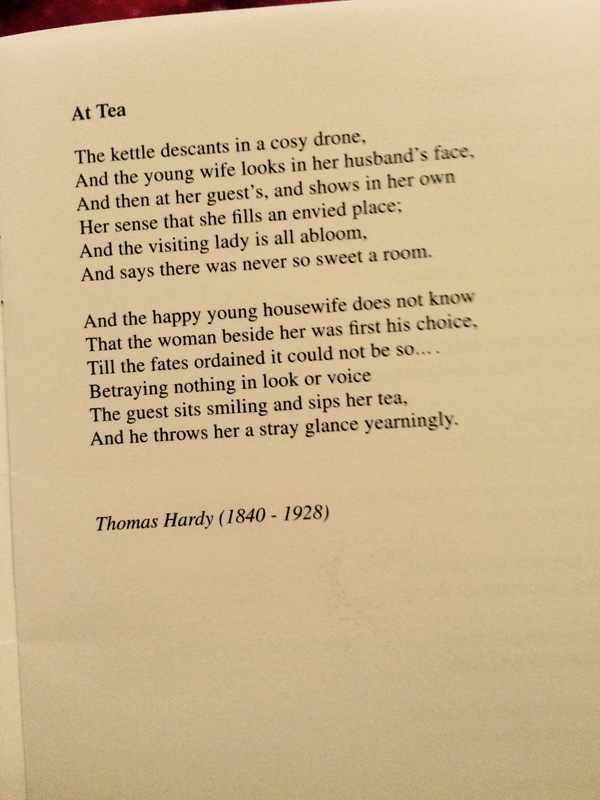 I love the poem by Thomas Hardy ‘At Tea’.